At an industry panel at the annual Country Radio Seminar conference in Nashville Thursday, programmers debated whether “bro-country” is on the wane, just part of a nice mix, or will continue to be dominant indefinitely. But what’s become clear over the last few days of CRS is just how many amazing country songs are on the immediate horizon. Will these be the ones that get the spins and come to define country music this spring, summer, and fall? Only your friendly neighborhood conglomerate knows for sure. 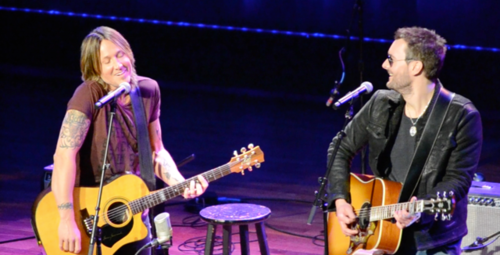 At the annual Universal Music Group showcase at the Ryman, 16 artists came out to do one acoustic song each — well, Keith Urban got two, probably because he’s such a mean guy and pitched a diva fit backstage (that’s a joke) — and it amounted to the best two-hour country concert of this or any recent year. 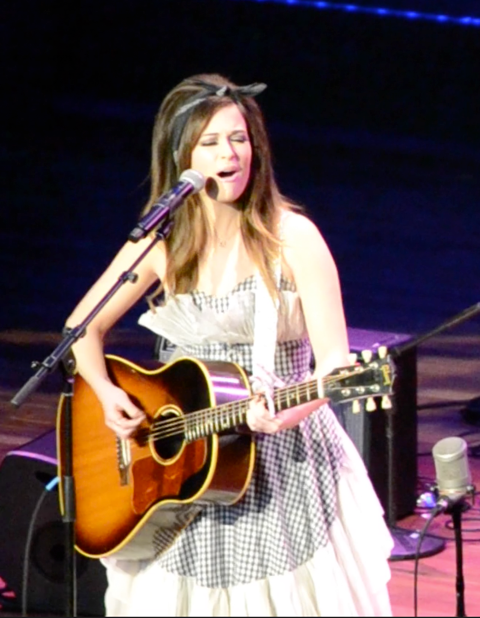 Among those debuting brand new material were Urban, Kacey Musgraves, Eric Church, Chris Stapleton, the Brothers Osborne, and Mickey Guyton, while Dierks Bentley, Josh Turner, Little Big Town, and others played their current hits. Every one of the above-named artists simply killed it, by any known standard, and you were left leaving the Ryman with the Pollyanna-ish feeling that the format is ridiculously healthy. Minutes earlier, Church had debuted a song of his own, unexpectedly, even to himself, it would seem. He told the crowd of radio honchos that he’d planned on playing “Wrecking Ball,” but just before he came on-stage, someone reminded him how he’d played that tune at last February’s label showcase. Church is a no-repeat kind of guy, apparently, so, he said, “I’m gonna play something nobody’s heard,” a song he suggested wasn’t even in a finished state. “I don’t know if it’ll be cut or anything,” he added. In another musical setting, the song could have played as sentimental or treacly, but Church’s raggedy electric guitar accompaniment made it tough as well as tender. If he does get around to finishing and recording it, expect it to be a highlight of his next album. Birth and death were recurring themes, in fact, throughout the UMG showcase, occasional bro-ishness notwithstanding. 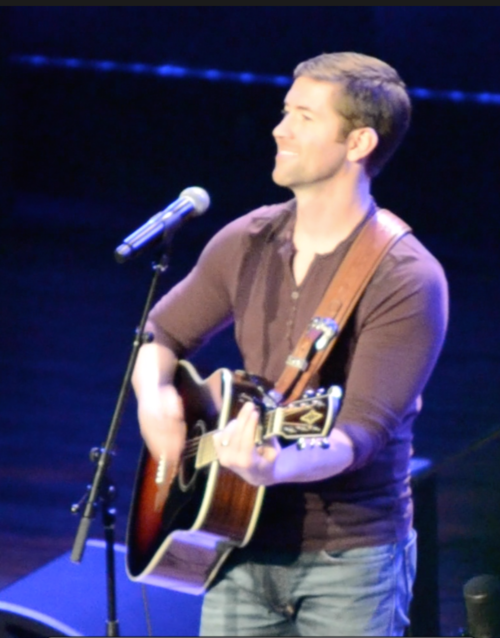 Josh Turner started the show by singing his currently rising “Lay Low,” and the announcer noted that Turner hadn’t been laying low, given how many kids he’s had over the last decade. “Yeah, there is some laying low involved in having four children,” Turner retorted. All rapport over the sexual implications of that terminology aside, it is encouraging that a song that could end up as the most-played of 2015 (at least, that’s what Universal’s people swear their research is leading them to believe) is truly about laying low and not getting laid. And when Turner climaxed the song by getting trademark-low with the final note, it was the first high point of the day. 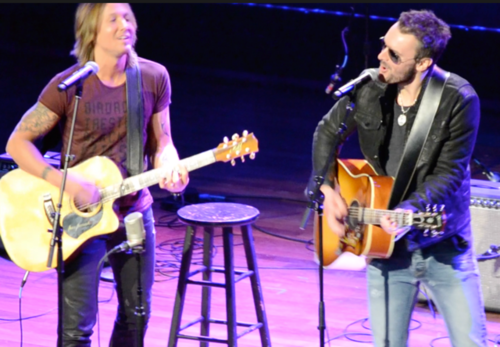 On the country-death-watch side of things — most recently heard in moving radio hits like “I Drive Your Truck” and “Drink a Beer,” neither of which was actually a truck or beer song — the showcase offered a couple of additions to that subgenre. Smith said he was reluctant to put “Bronco” on the EP he has coming out March 24, since the album that will follow in the summer will have that tune as the title track, but he couldn’t wait to get it out. Chris Stapleton got the first standing ovation of the showcase with another death-themed song, “Daddy Doesn’t Pray Anymore,” written after his father passed away in October 2013. The dad in question was a coal miner, and in his honor, Stapleton brought “the first piece of coal he ever pulled out of the ground” to the stage of the Ryman and placed it on a chair in front of him as he sang this simple but tear-jerking eulogy. Two years ago, Stapleton was unveiled as an artist to the crowd at this same annual showcase, and he got an ovation then, too, but it’s taking this long to finally get a freshman album out… which Universal’s people swear is imminently on the horizon for 2015. One thing we can say almost for sure: “Daddy Doesn’t Pray Anymore” won’t be one of the singles, unless we somehow time-travel back to the Carter Family era. But with whatever single does get the push, it’ll be interesting to see if the radio programmers who keep giving him ovations can put their money where their feet is and make Stapleton a star. Not enough loss for you? David Nail started his trip to the stage by talking about how he’d lost his grandmother last year, and how not being able to leave his tour to attend her funeral had prompted the new ballad he was unveiling, which was likely called “Home” (unless they come up with something else in deference to the Dierks hit of the same name). It wasn’t: “Home,” which doesn’t turn out to be so funereal after all, is a simply stunning evocation of how “the fields and the sky and the stones” of where you grew up remain “in your blood and your bones.” It’s the kind of roots-honoring song that half the artists in country music have tried to write at some point but few have gotten as right as Nail. Amid all this birth and demise, was there any room for lust, or does that belong strictly to the Sony and Big Machine label groups? Ah, the Universal artists did not let us down there, either, even though the all-acoustic setting did lend itself to some solemnity. Little Big Town took advantage of that sparseness to reproduce their already-spare current hit, “Girl Crush,” which sounds so unlike anything else on country radio that everyone is waiting for it to develop into a world crush. The Brothers Osborne got a standing ovation of their own by debuting a song (due March 9) in which they promise to “tear the T-shirts off each other” (presumably meaning not the other brothers, but their respective girlfriends). The great female hope of 2015, Mickey Guyton, beautifully bashed an ex with the bluegrass-flavored “Nice Things,” from a forthcoming freshman album. And, while it was hardly a premiere, Vince Gill got seriously romantic in bringing out the program’s only oldie, “Whenever You Come Around,” by explaining that “this is a song inspired by a smile on the face of a woman I had never met” — future wife Amy Grant, back in 1993. Gill got a standing O just for coming out, as he does every year, even though it’s been eons since these radio people allowed the most-liked fellow in country music to have a hit. “I’m not gonna quit sending you records,” he swore. “Just rest assured, it’s okay either way,” he added. Us to radio: No, it’s not okay either way. If you would actually play all the songs and artists that get you on your feet at CRS every year, the format would live up to its promise and truly be the soundtrack to our lives, not just our happy hour. Truly commit to programming “Biscuits” — and all the other aforementioned great new tracks — and we believe your ratings will be gravy!